Created as a tool for people suffering from full paralysis, this system is a pretty amazing piece of work. 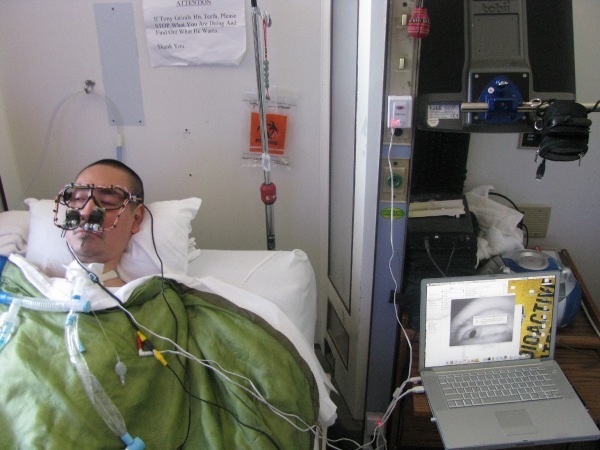 Its called the EyeWriter, and the project is led by a group of graffiti artists driven to help one of their own, Tony Quan, who is afflicted with Amyotrophic Lateral Sclerosis. I love this sort of grassroots innovation — and I wonder what they might get done if they had a lab and a NIS grant. I can’t do the project justice here; it’s described in detail at FAT’s site. Give it a look.